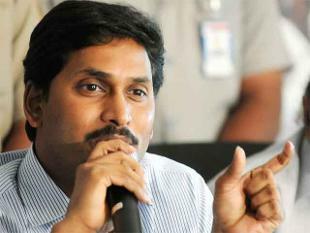 Jagan says that Chandra Babu government should act before September 15, to withdraw its ministers from the NDA government for failing to procure special status.Today he announced an indefinite fast in Guntur from September 15 to demand fulfilment of the promise of special category status made to Andhra Pradesh during state bifurcation last year.The promise of special status was made by the then Prime Minister Manmohan Singh in Parliament during bifurcation last year. "It has been 15 months since CBN came to power. The promise of special status was given by the then Prime Minister and also opposition in Rajya Sabha. It appears that it has gone into thin air. There is no answer when we asked when it would be implemented," he told reporters here. Noting that he already held a fast for two days on the issue in AP and also organised a protest in Delhi, Jagan said he would take up the fast from September 15 to mount pressure on the TDP government. He said that the ruling TDP-BJP combine for not honouring the promise even 15 months after coming to power.